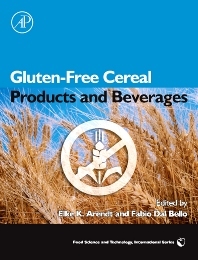 Gluten-Free Cereal Products and Beverages is the only book to address gluten-free foods and beverages from a food science perspective. It presents the latest work in the development of gluten-free products, including description of the disease, the detection of gluten, and the labeling of gluten-free products as well as exploring the raw materials and ingredients used to produce gluten-free products. Identifying alternatives to the unique properties of gluten has proven a significant challenge for food scientists and for the 1% of the world’s population suffering from the immune-mediated entropathy reaction to the ingestion of gluten and related proteins, commonly known as Celiac Disease. This book includes information on the advances in working with those alternatives to create gluten free products including gluten-free beer, malt and functional drinks. Food scientists developing gluten-free foods and beverages, cereal scientists researching the area, and nutritionists working with celiac patients will find this book particularly valuable.